Get your kit today! Otovent starter kit includes one (1) nose piece, ten (10) balloons and a convenient travel case. 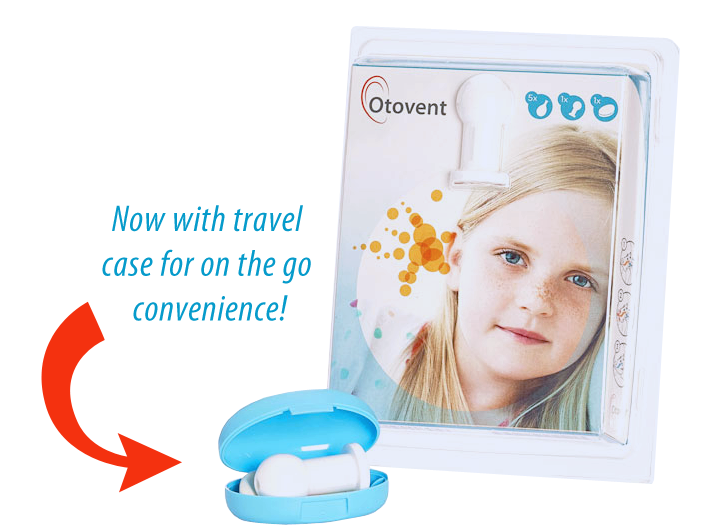 Otovent is an easy, natural way to prevent and treat fluid buildup, or Glue Ear, in the middle ear often associated with middle ear infections. It is painless, harmless and takes only a matter of seconds to perform. Otovent® should be used 2-3 times daily until all the fluid has been drained away. The Otovent procedure can be performed at home or on the go with the new convenient travel case included with your starter kit. Frequent treatments are painless and regarded as “fun” by children! May avoid or delay recourse to surgery or vent tubes! Processed by Invotec International, Inc.